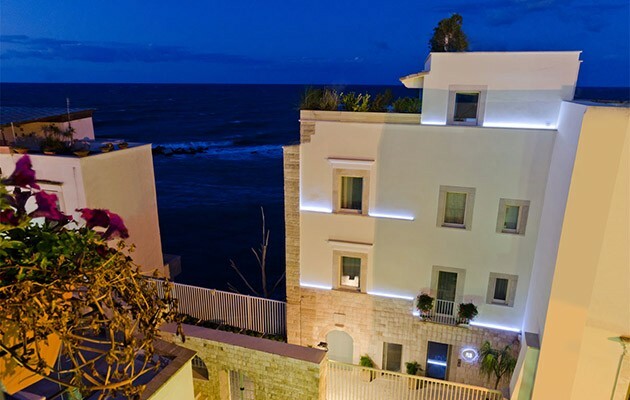 The MoMa Suites and SPA, in the old heart of the town of Molfetta, faces the sea of the Adriatic coast in this fascinating corner of Southern Italy, offering a splendid sea view. 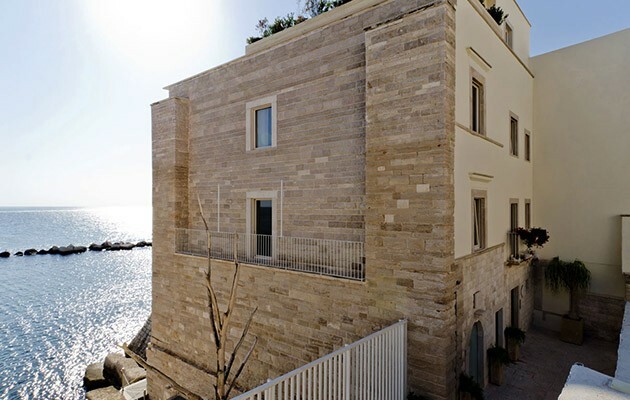 Its position ensures peace and tranquillity, undisturbed by the noise of town life. 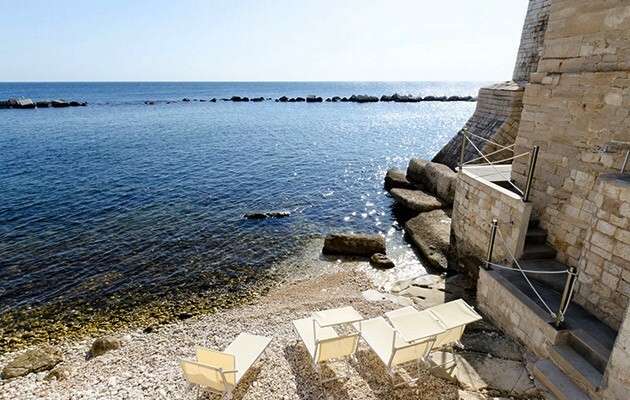 What is more, it is a mere 22 km from Bari airport. 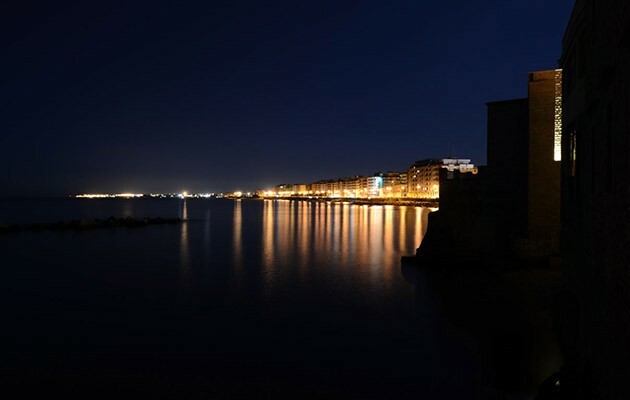 Molfetta itself is a fascinating town with a rich historical heritage. The beach has sandy stretches interspersed with pebbly parts and rocky outcrops. 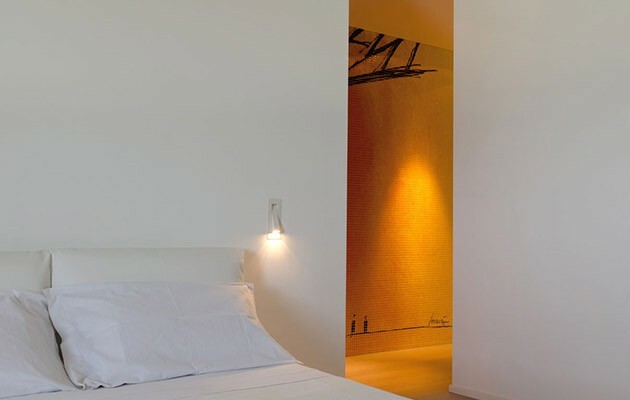 MoMa Suites and SPA is a cross between a maison de charme and a small boutique hotel - its hallmark is a “modern take on luxury, understated and welcoming at the same time”. 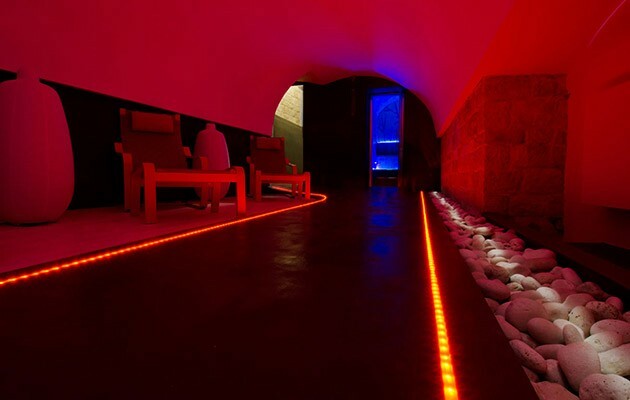 You will be captured by the atmospheric feel of this mansion which has preserved the style of historic local architecture, and which has just five rooms and has a terrace, a breakfast room, a solarium zone and a small wellness centre. The dominant colours are white and natural tones. 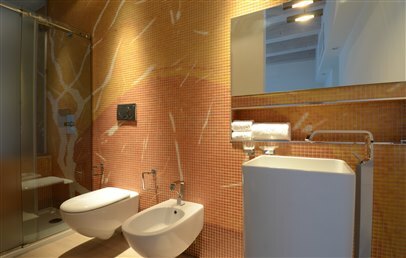 The décor includes digital mosaic works. Almost all the rooms and spaces of MoMa Suites and SPA, five rooms for a total of 12 guests, overlook the sea directly, offering beautiful views. 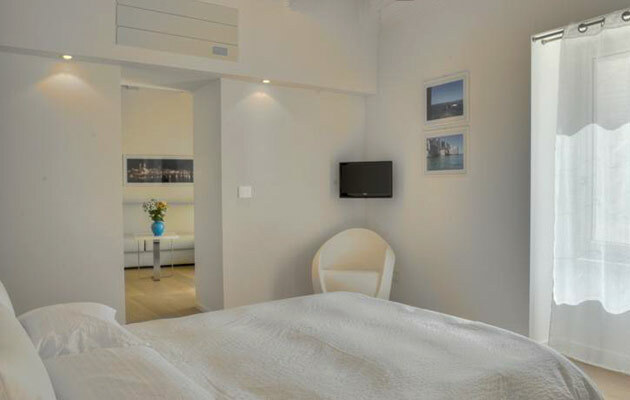 Each room has an independent entrance, double bed, independent air conditioning/heating, TV, safety-box, minibar, en-suite bathroom with shower, hairdryer. 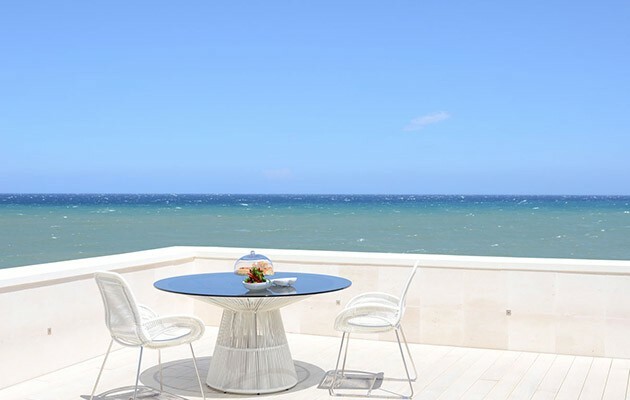 The rooms are set on three floors and offer a choice of Deluxe Suite Terra, Junior Suite Fuoco, Superior Suite Acqua, Superior Suite Sole and Special Suite Aria. They differ as to roominess, floor level and view. 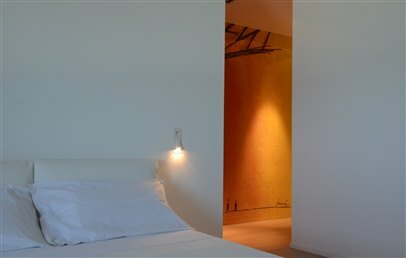 To preserve a relaxing and quiet ambience, MoMa Suites and SPA welcomes children aged from 12 years. 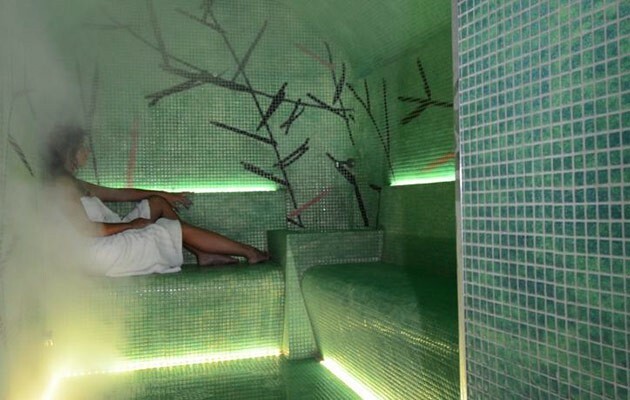 The small Wellness Centre offers a range of treatments delivering a complete sensory experience. The products used at the Spa are dermatologically tested, nickel-free and certified effective by the University of Pavia. They contain no preservatives, added scents or mineral oils. 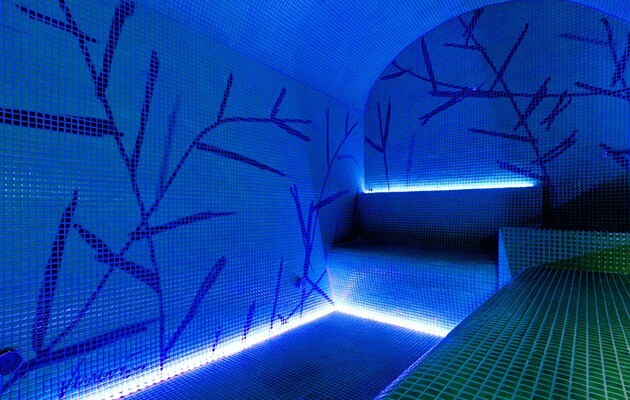 The centre has Turkish bath, emotional shower, chill-out area, hydromassage tub and treatment booths. 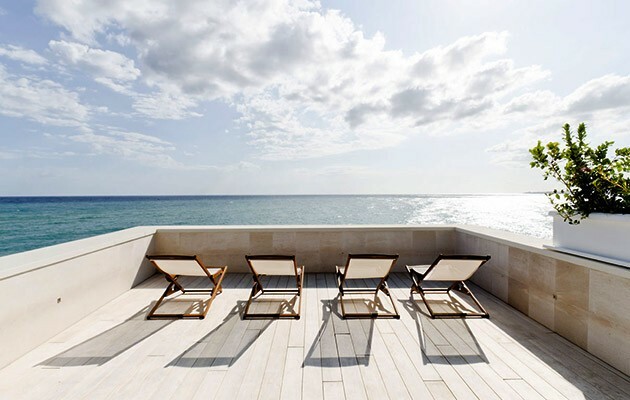 A very small private pebble beach is reserved for guests and equipped with some sun loungers. 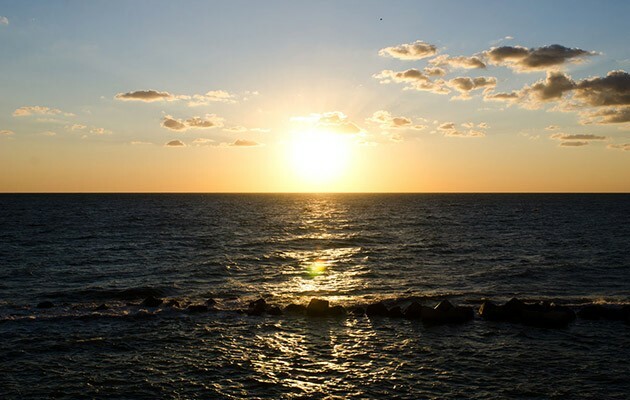 The small beach is located right in front of the hotel and is accessed via a flight of steps. In the breakfast room the guests staying at MoMa Suites and SPA can enjoy a rich breakfast featuring local specialities. 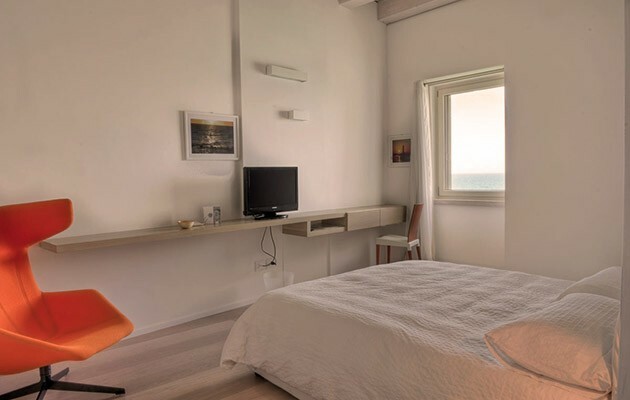 Complimentary services: water and soft drinks from the minibar, private parking, use of bikes and canoes and Wi-Fi connection . 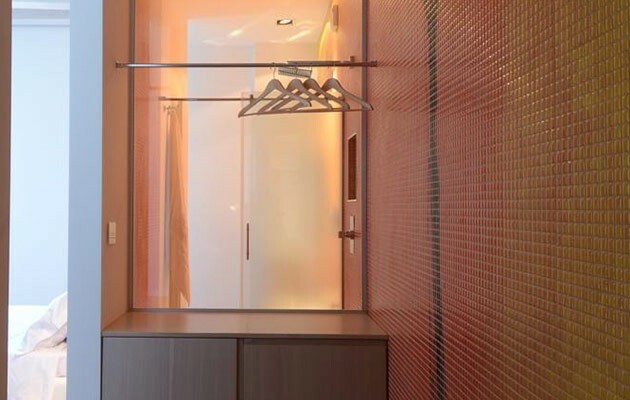 Stylish and refined, Deluxe Suite Terra is on the first floor. 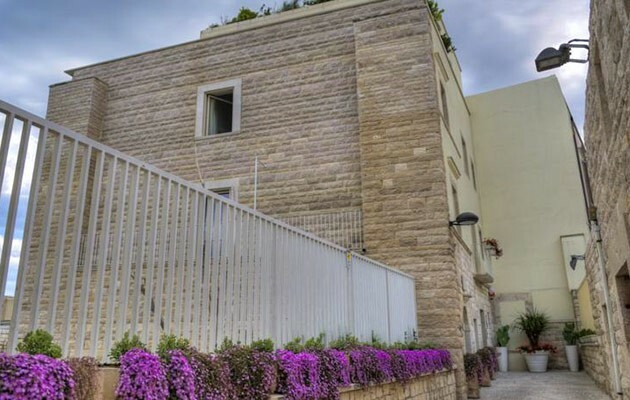 It features an independent entrance, double bed, independent air conditioning/heating, TV, safe, minibar, en-suite bathroom with shower and hair dryer, slippers, bathrobe, courtesy toiletries, beach towels and window overlooking the garden. 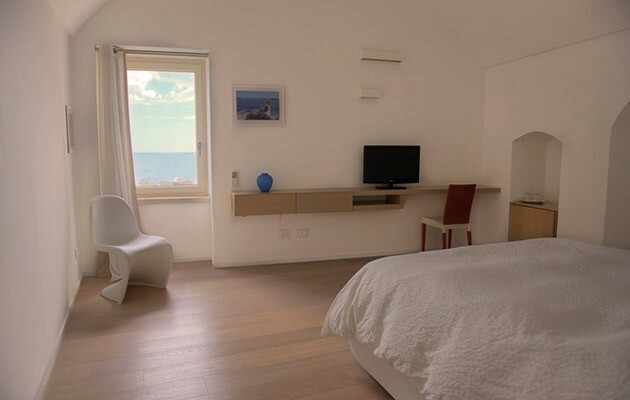 Stylish and refined, Junior Suite Fuoco is on the second floor and has a sea view. 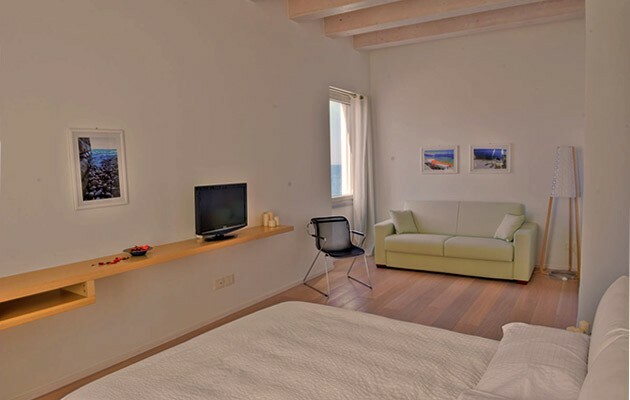 It features an independent entrance, double bed, independent air conditioning/heating, TV, safe, minibar, en-suite bathroom with shower box and hair dryer, slippers, bathrobe, courtesy toiletries and beach towels. Stylish and refined, Superior Suite Acqua is on the second floor. 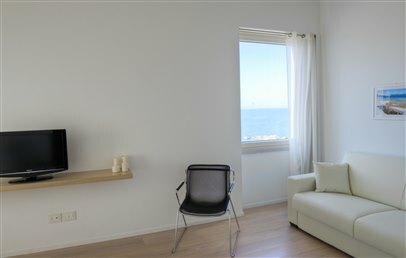 Large and filled with light, it overlooks the Aloe garden and the sea. 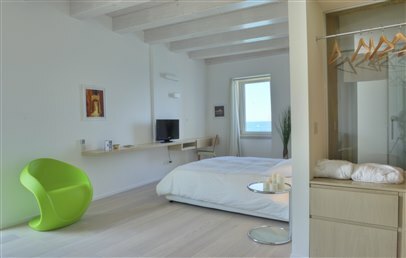 It features an independent entrance, double bed, independent air conditioning/heating, TV, safe, minibar, en-suite bathroom with shower box and hair dryer, slippers, bathrobe, courtesy toiletries and beach towels. 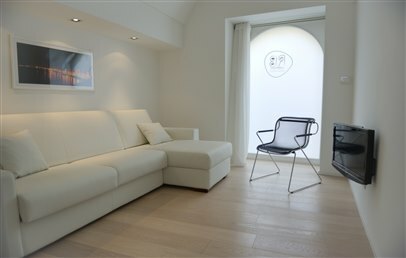 Stylish and refined, Superior Suite Sole is on the first floor. 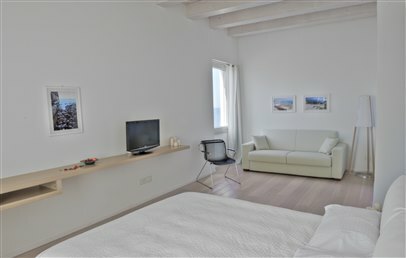 It has an independent entrance, double bed, independent air conditioning/heating, TV, safe and minibar. 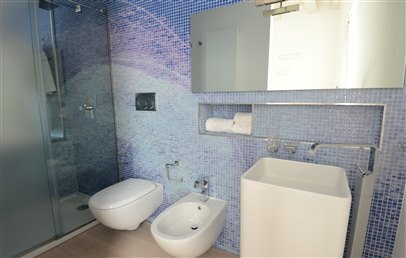 It also features en-suite bathroom with shower box and hair dryer, slippers, bathrobe, courtesy toiletries, beach towels and balcony with sea view. Stylish and refined, Superior Suite Aria is the largest suite. 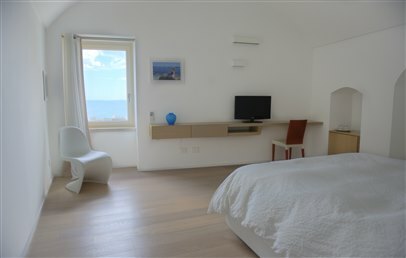 Located on the ground floor with window with sea view, it has an independent entrance, double bed, independent air conditioning/heating, TV, safe, minibar and en-suite bathroom with shower box and hair-dryer, slippers, bathrobe, courtesy toiletries and beach towels.